If you’ve spent any time on our social media, website, or have even read a tin of Pirouline Rolled Wafers, you may notice we’re quite passionate about swirls. 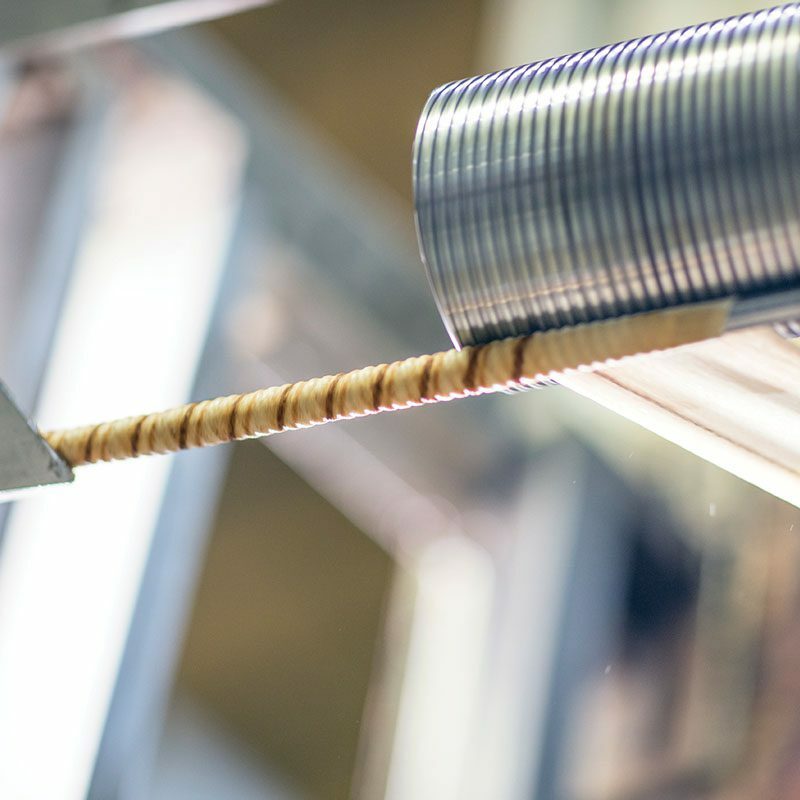 We are proud that every one of our rolled wafers leaves our bakery with our signature swirl, and it is the best way you can differentiate a Pirouline rolled wafer from imitators before you take that first bite. Why does the swirl make Pirouline special? There are other rolled wafers that have come into production since we started baking Piroulines in 1984, but you can always know that if it is a Pirouline is by the swirl. We even trademarked our swirl. We wanted to ensure that when you see a rolled wafer with a swirl, you know that you and your family will enjoy the same high-quality ingredients that we have baked, here in America, for generations. When you see the swirl stands for more than Pirouline, it stands for freshness and deliciousness you will only find in a rolled wafer from our bakery in Mississippi. One of our favorite things about creating the swirl is how each swirl is unique. We don’t strive to make every swirl perfect. Our bakers enjoy how each can be slightly different, just like each of us. 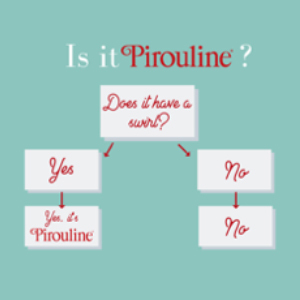 How can you tell if it is a Pirouline? We have created a very scientific formula, complete with a flow chart to help you determine if you are enjoying a Pirouline Rolled Wafer. Keep swirling, and remember to use #shareaswirl on social media to share your Pirouline magical moments! See more swirls on our Instagram, Facebook or Pinterest and make sure to use #shareaswirl!